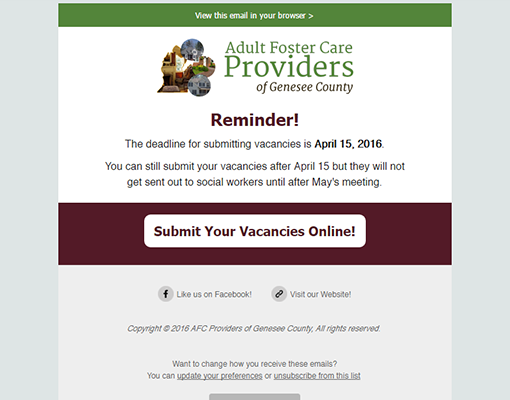 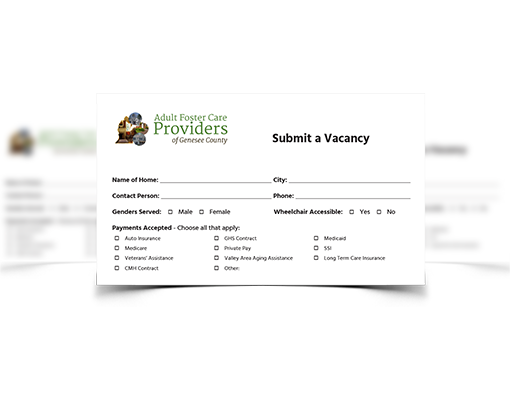 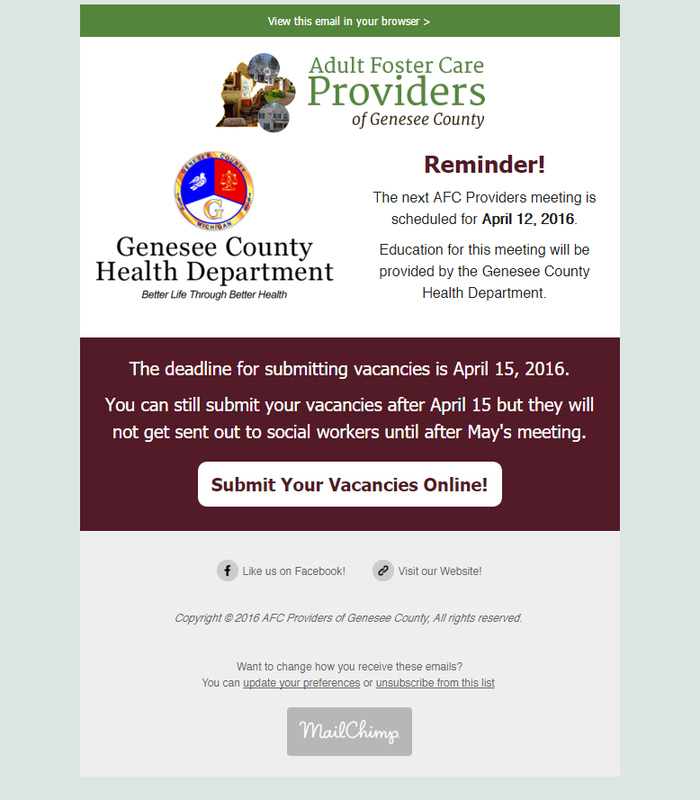 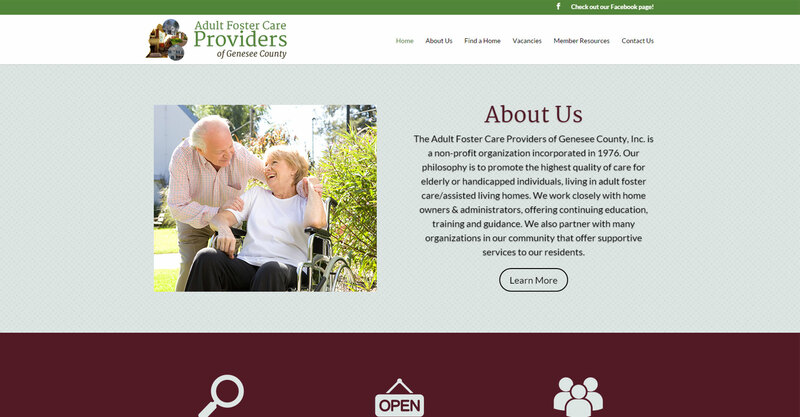 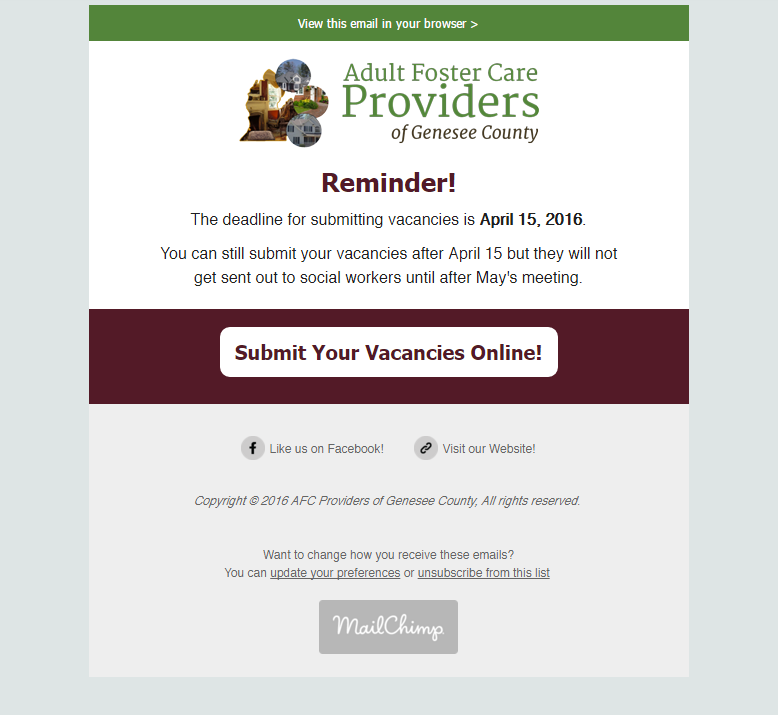 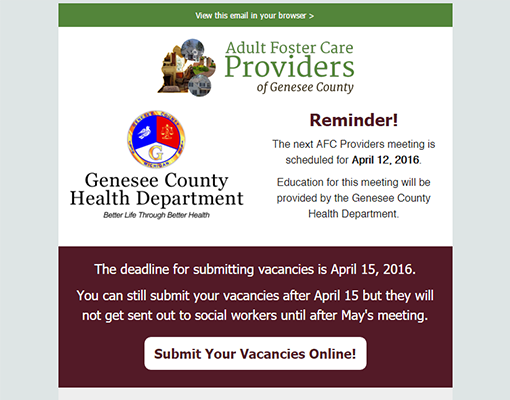 Adult Foster Care Providers of Genesee County is an organization in Genesee County, MI that seeks to bring together owners and operators of adult foster care homes throughout the county. 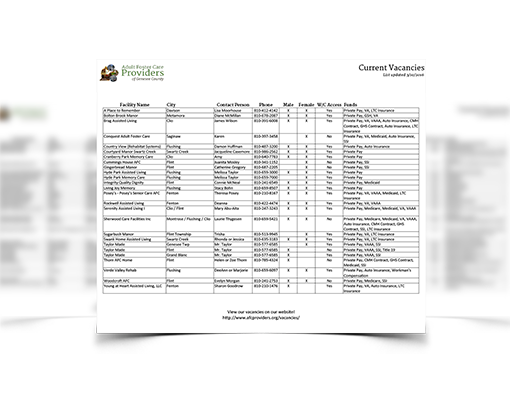 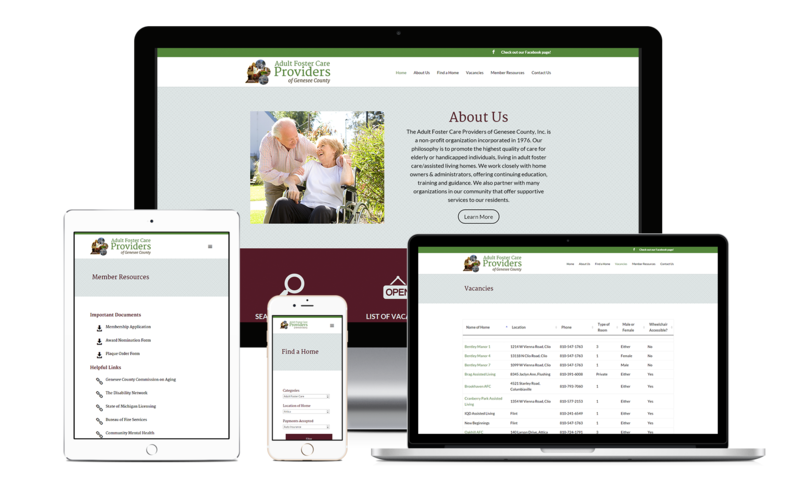 This website was built with the Divi theme from Elegant Themes and included a specialized search function with added taxonomies, an integrated spreadsheet for current vacancies, a repository for member resources, and listings for each member home in the county. 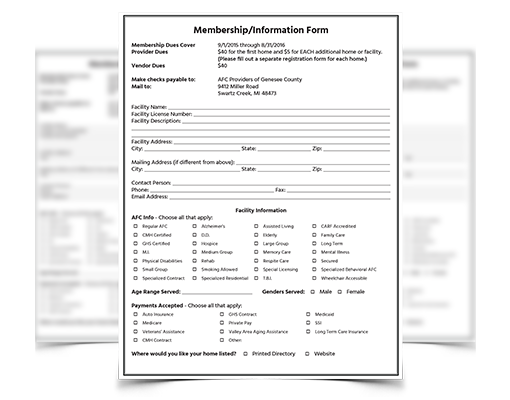 We also prepared various forms for them, and designed their email marketing campaign.